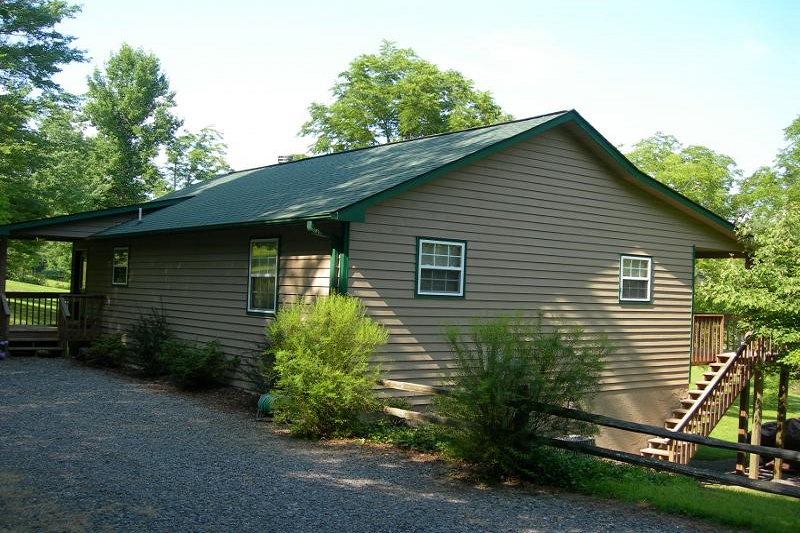 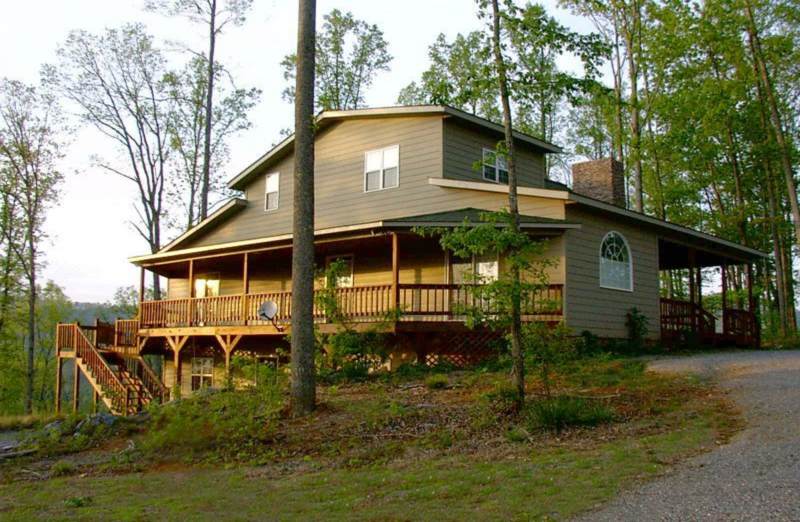 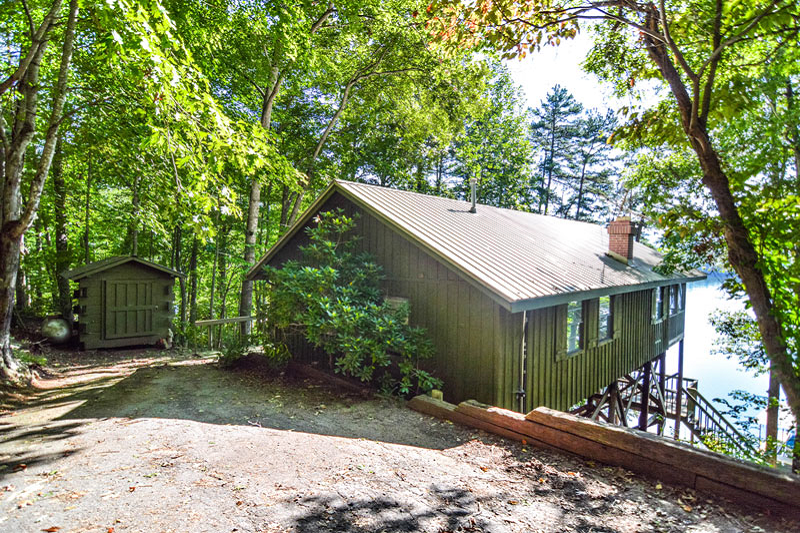 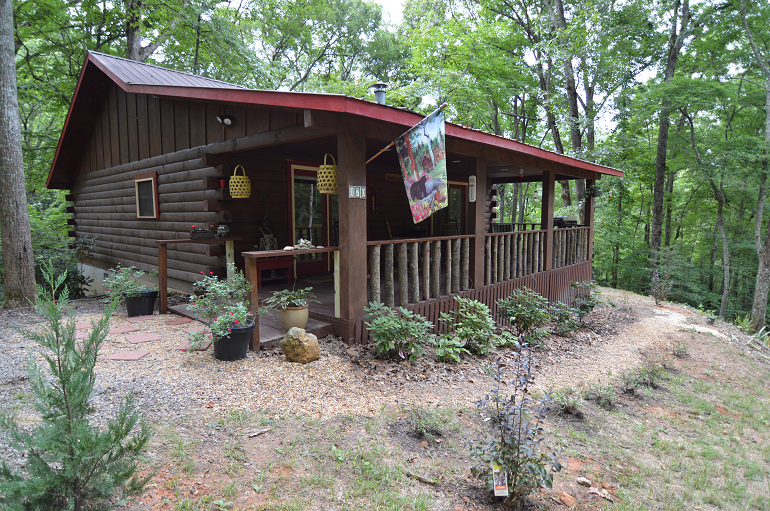 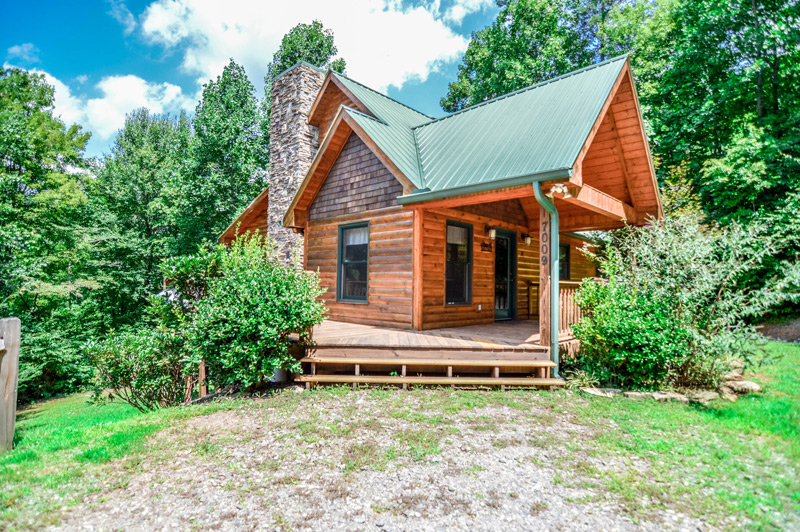 For those wanting to relax and get away from it all but still have access to superb amenities, this lake front cabin offers it all! 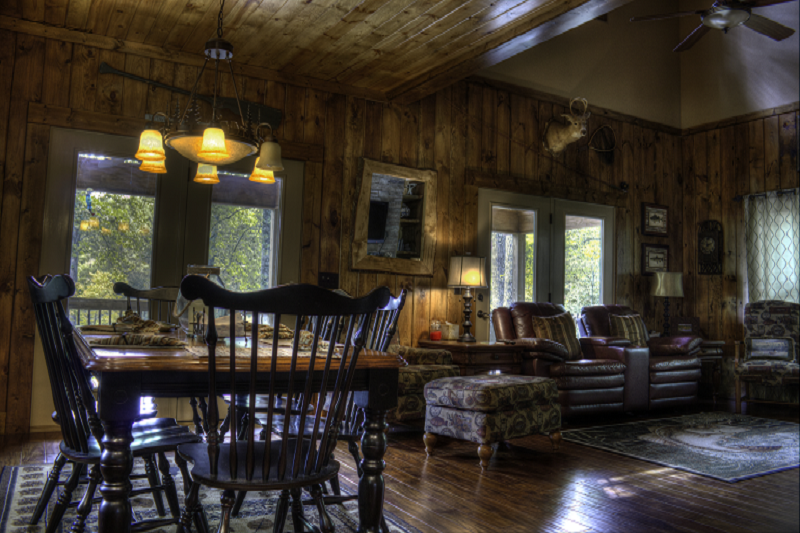 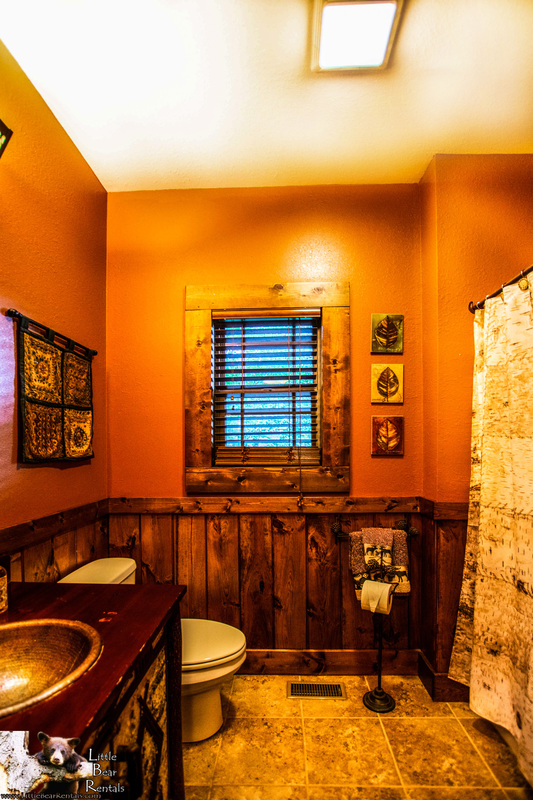 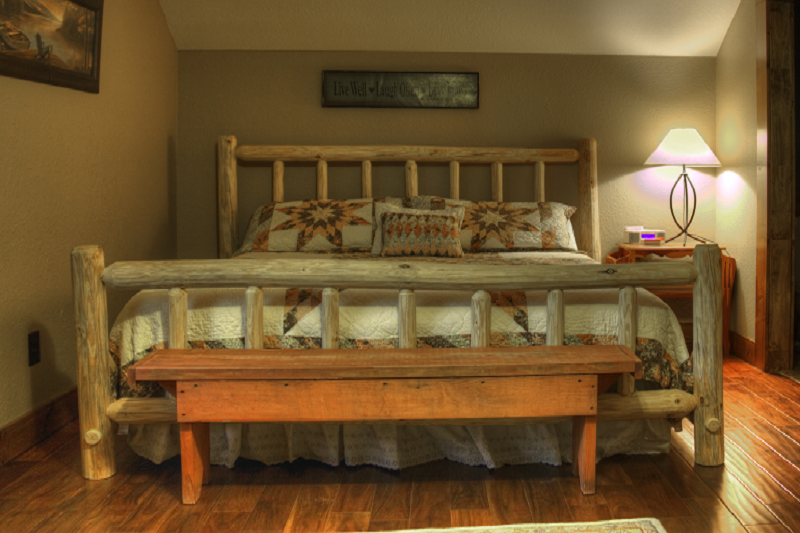 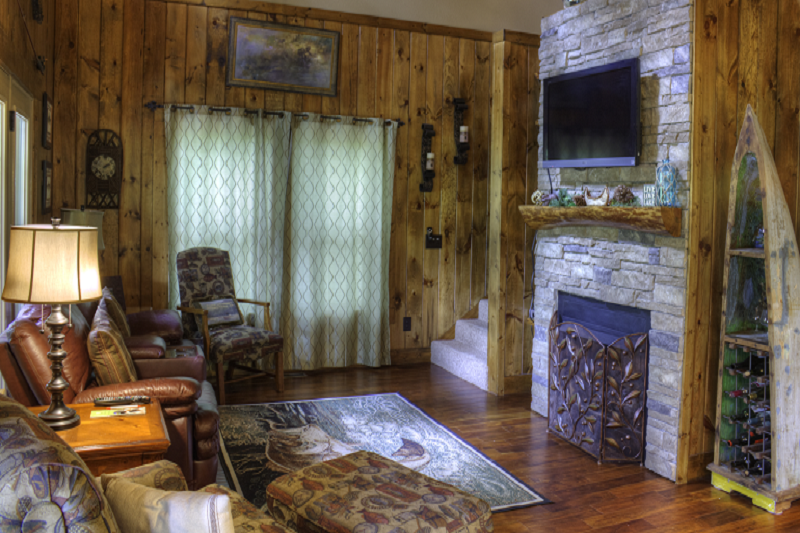 Look up “rustic cabin” in the dictionary, and you’re sure to find Lost Lake Lodge! 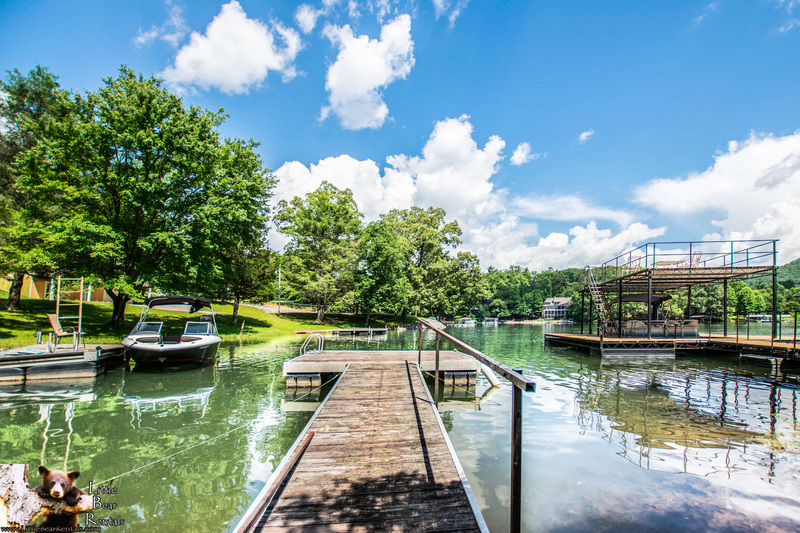 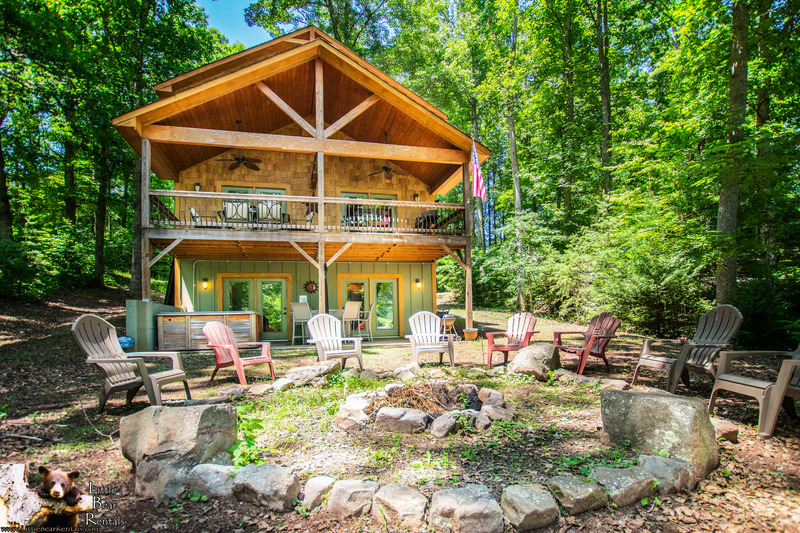 From the initial approach to the final goodbye, everything about this beautiful property defines what it means to enjoy time in a true cabin on the lake. 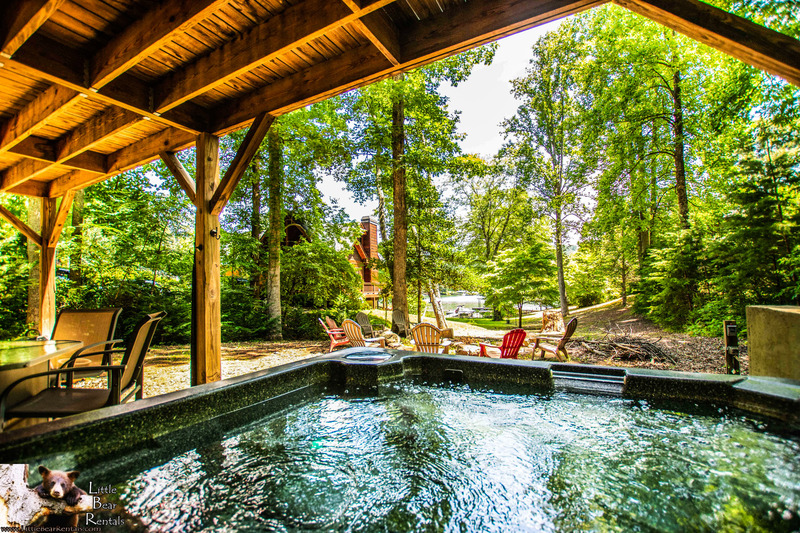 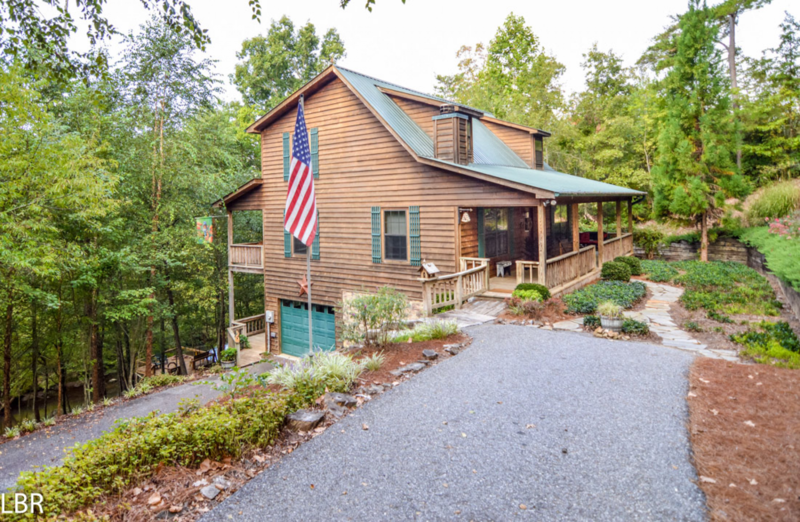 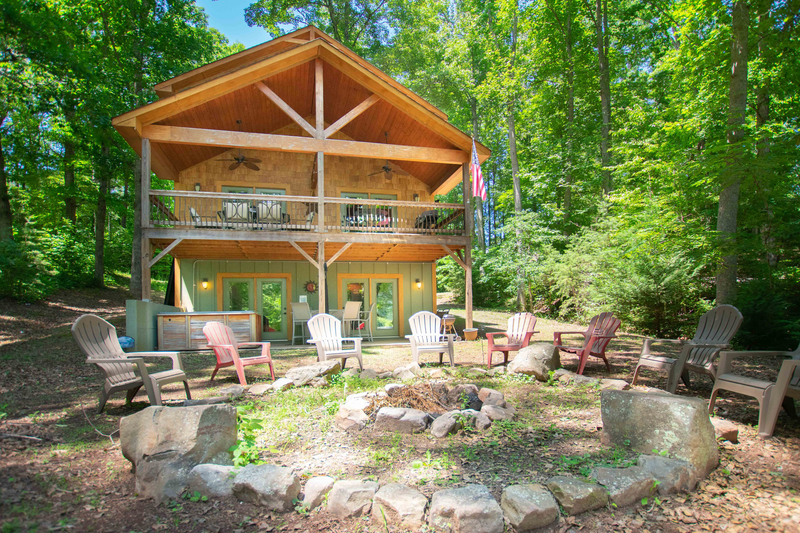 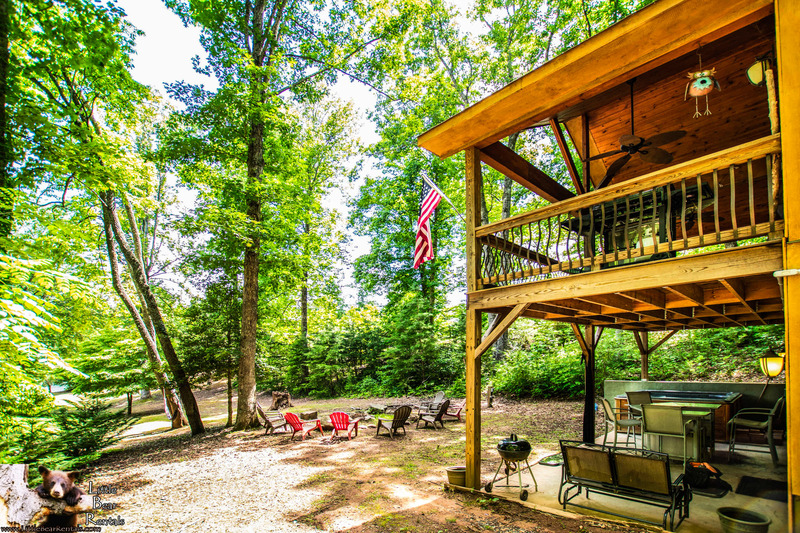 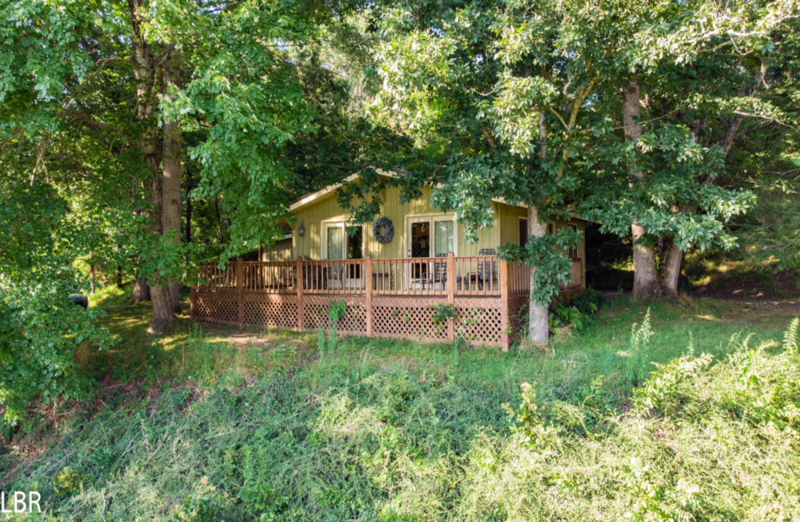 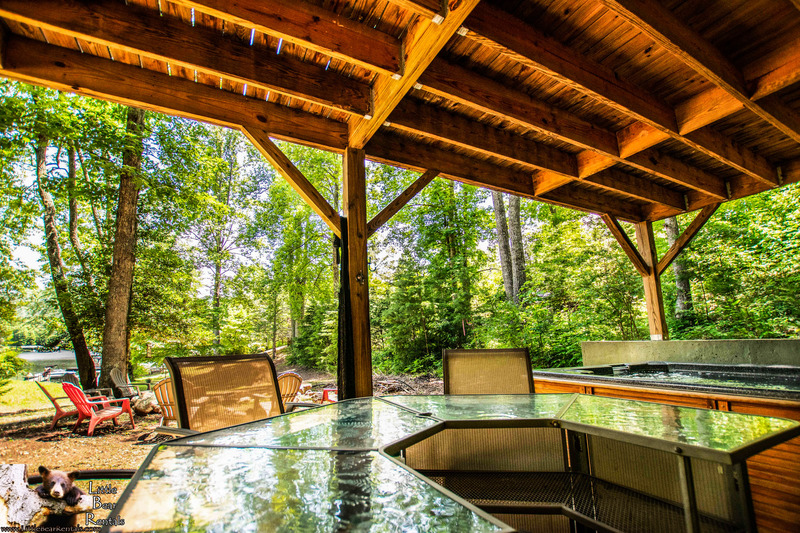 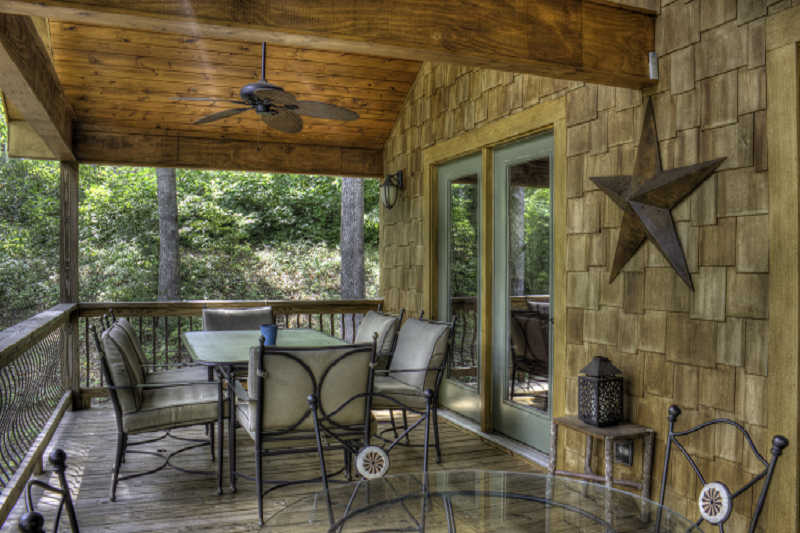 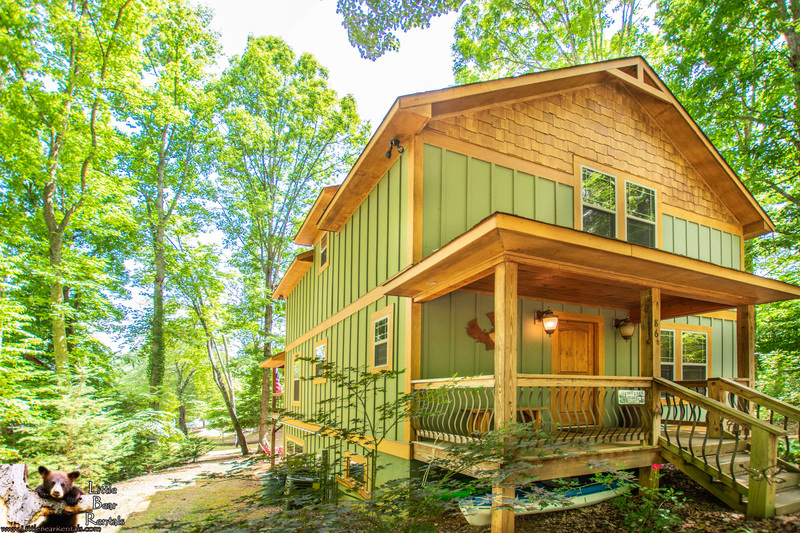 Although the inside is undeniably inviting and cozy, the outside of this cabin is what’s truly spectacular… from fishing on the dock to unwinding in the hot tub to enjoying s’mores by the fire pit to simply sitting back and enjoying the serene lake and mountain views under a canopy of majestic trees. 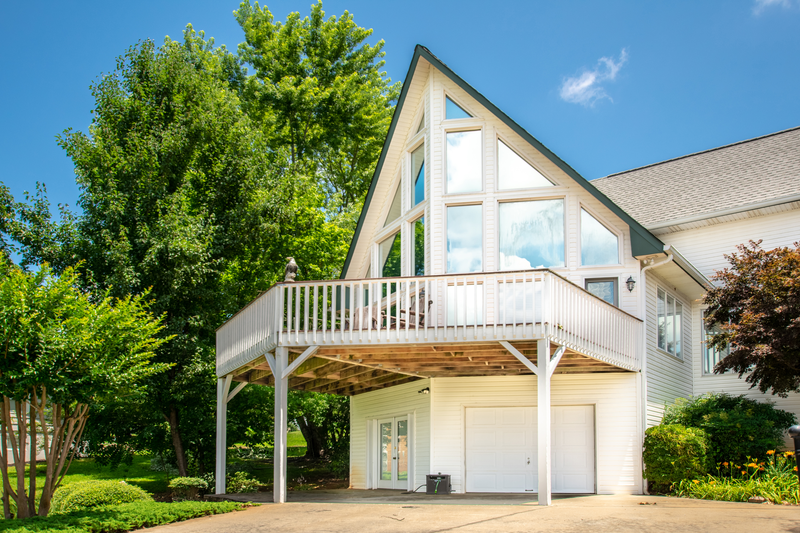 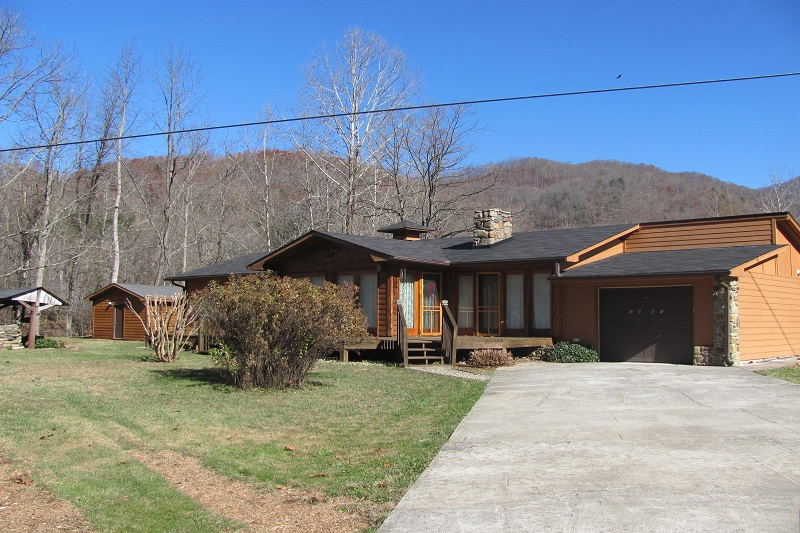 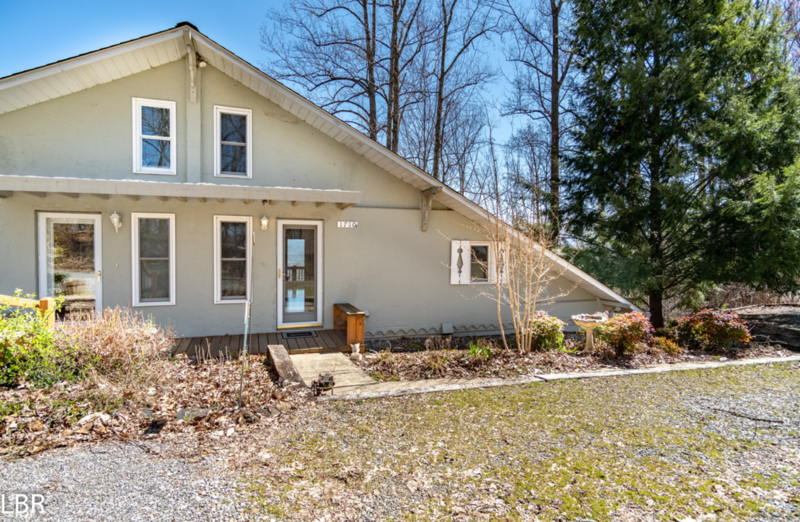 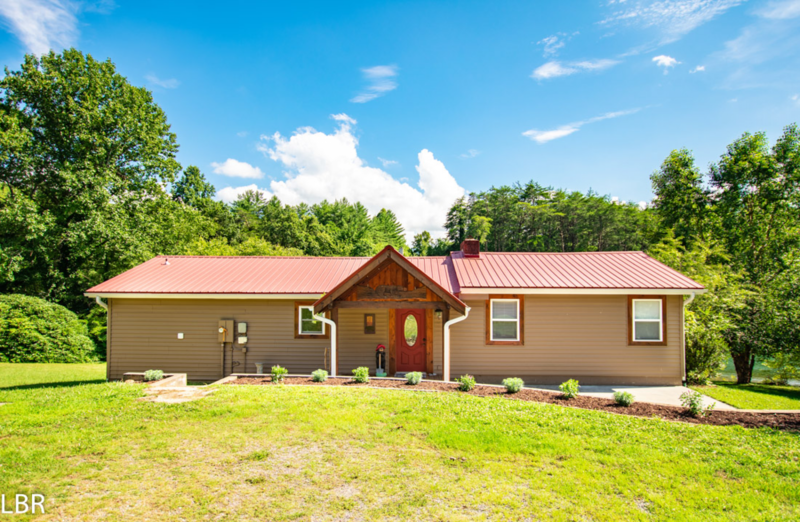 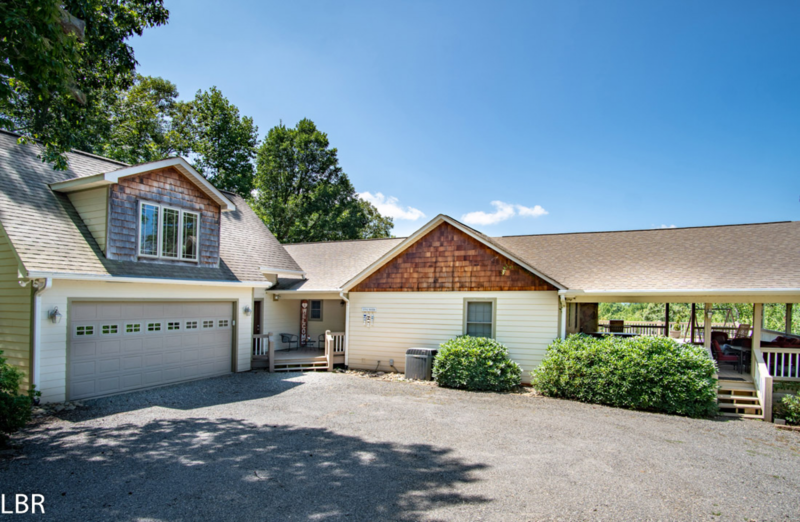 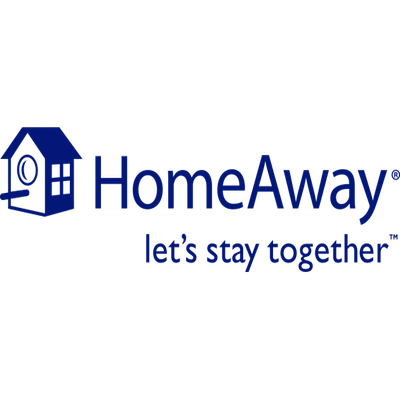 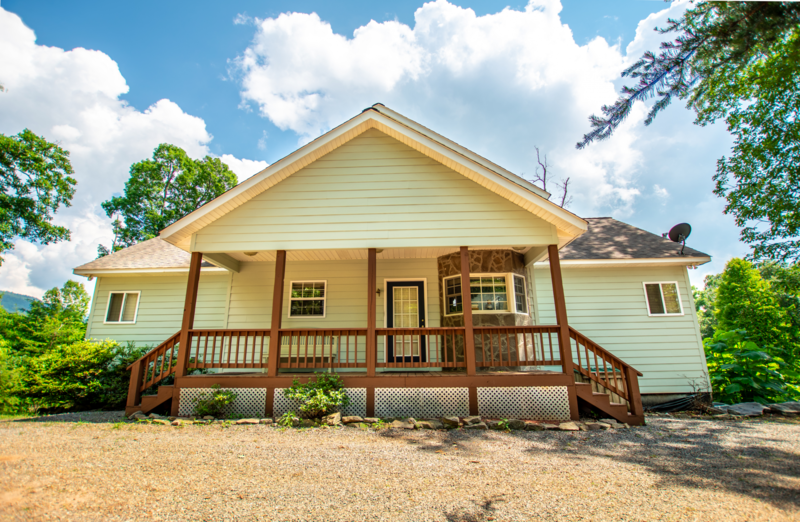 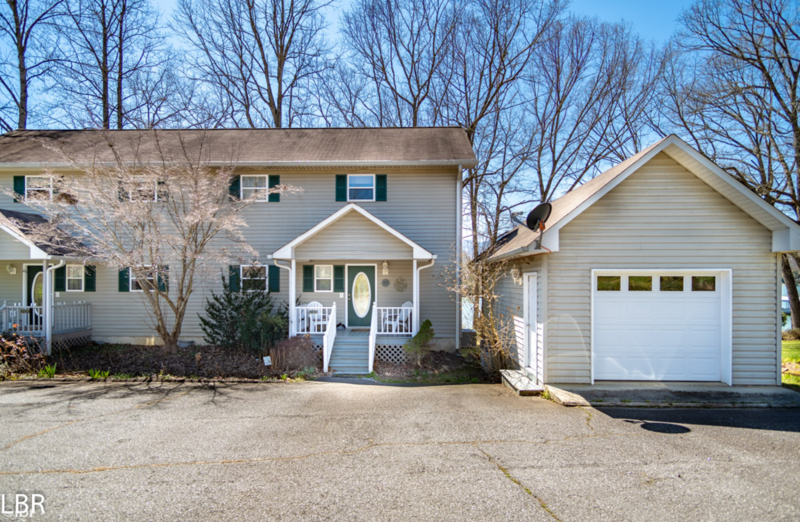 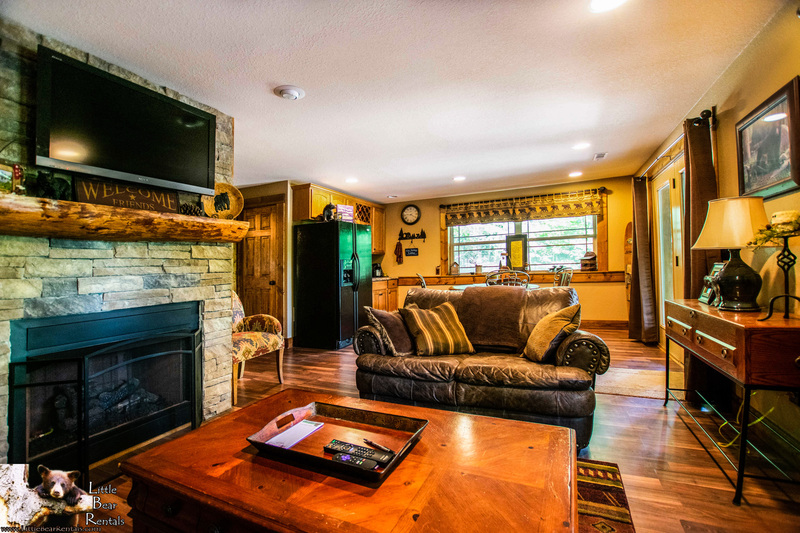 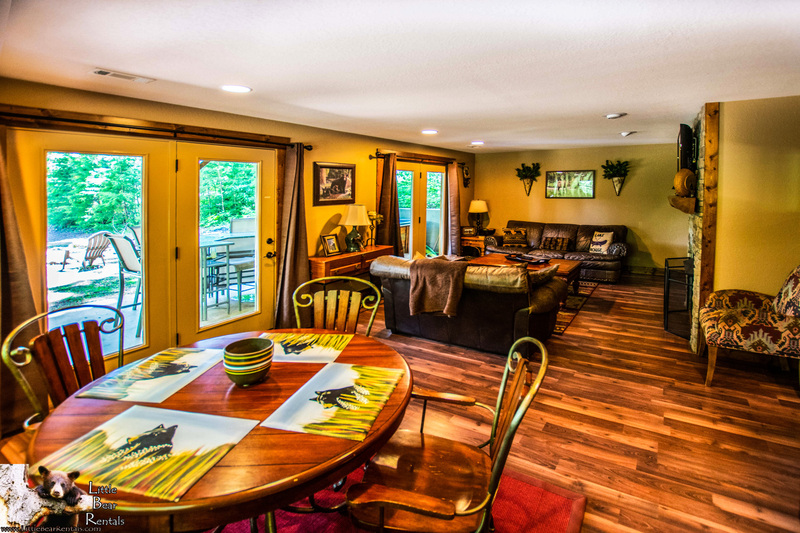 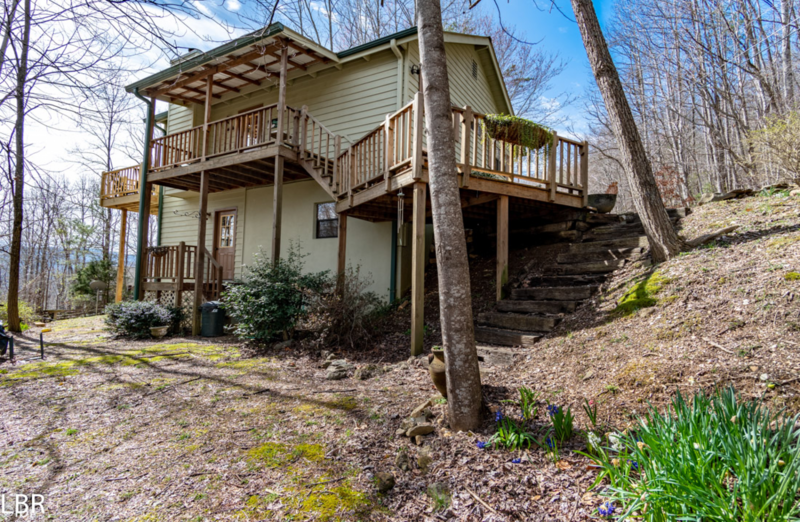 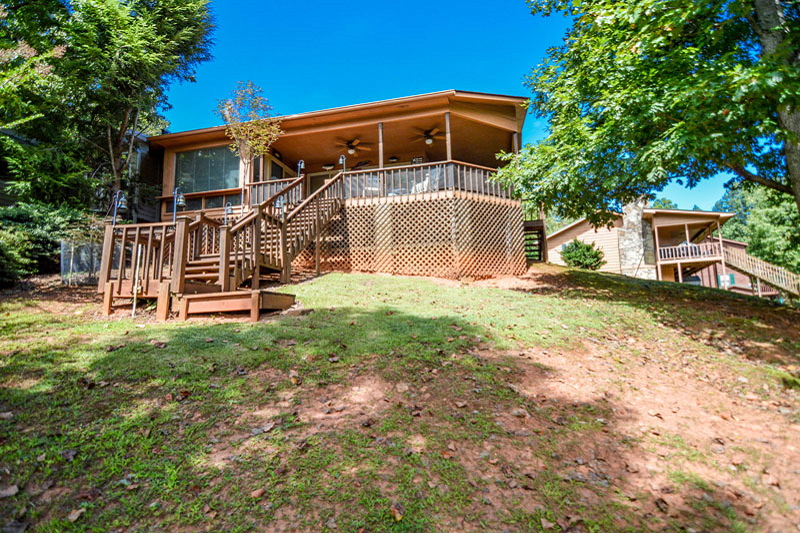 Back inside, this tastefully appointed cabin has both upstairs and downstairs living rooms, each with a large flat-screen TV and gas log fireplace–perfect for taking advantage of family time or some quiet time all to yourself. 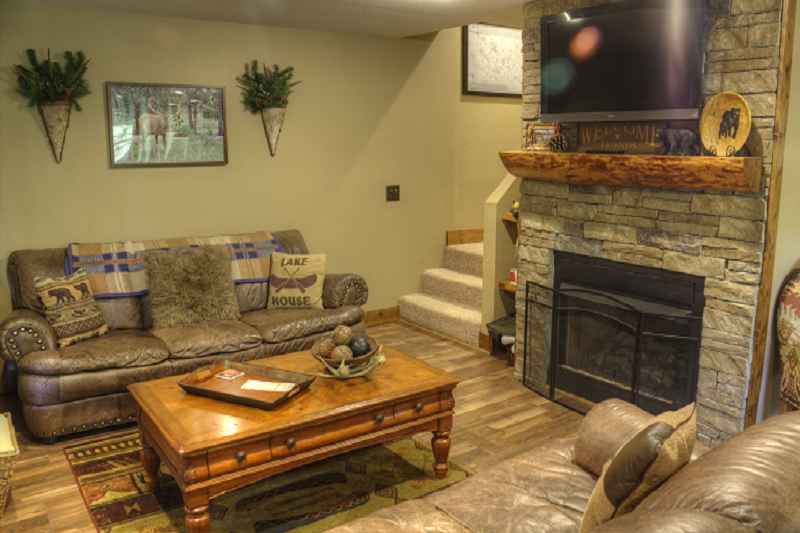 The loft area also has a sitting room with a TV–another option for alone time or perhaps a children-only zone. 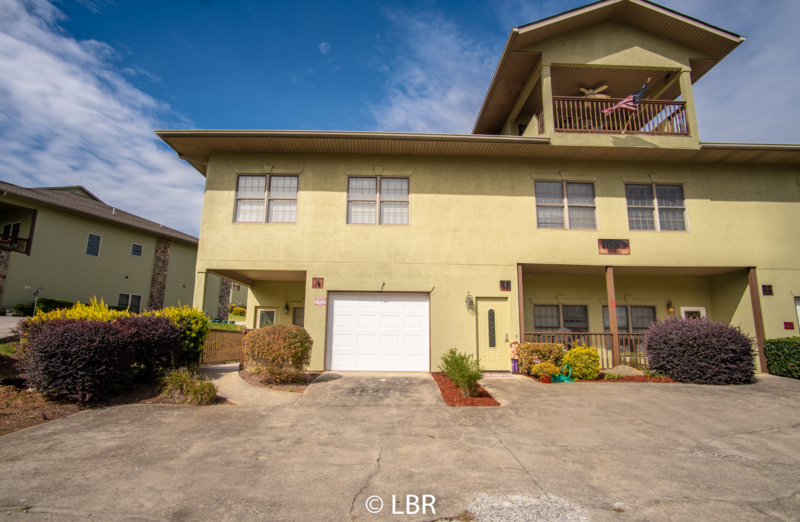 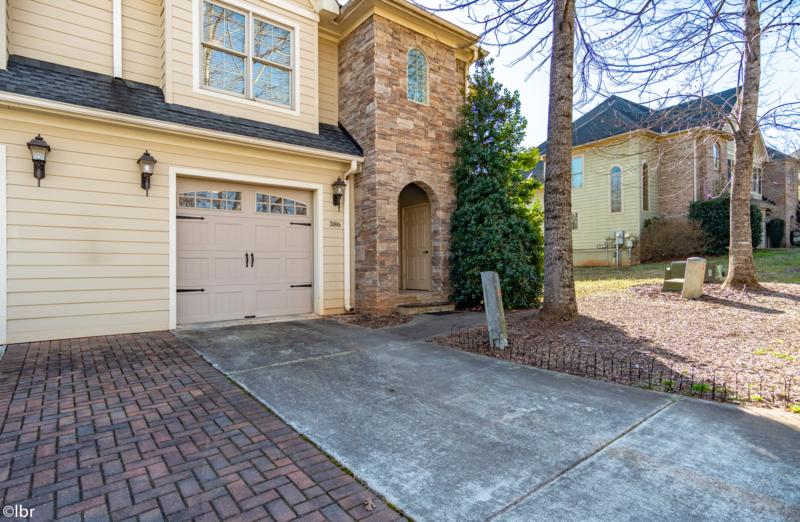 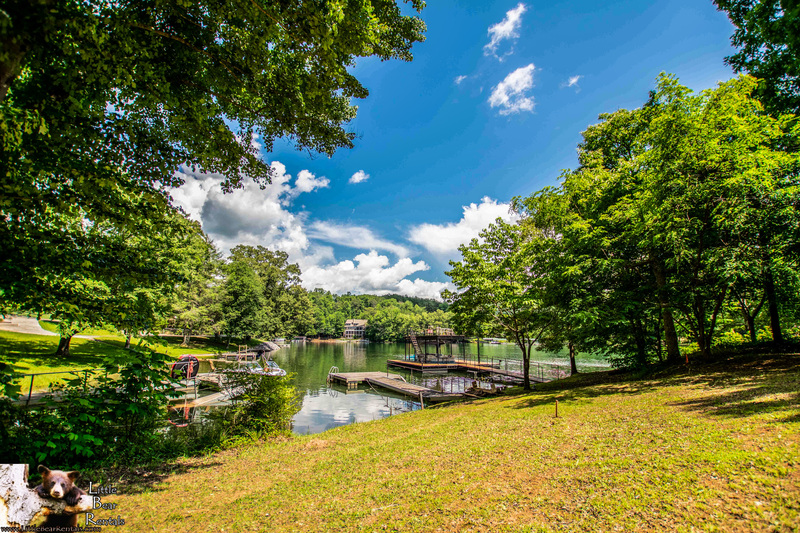 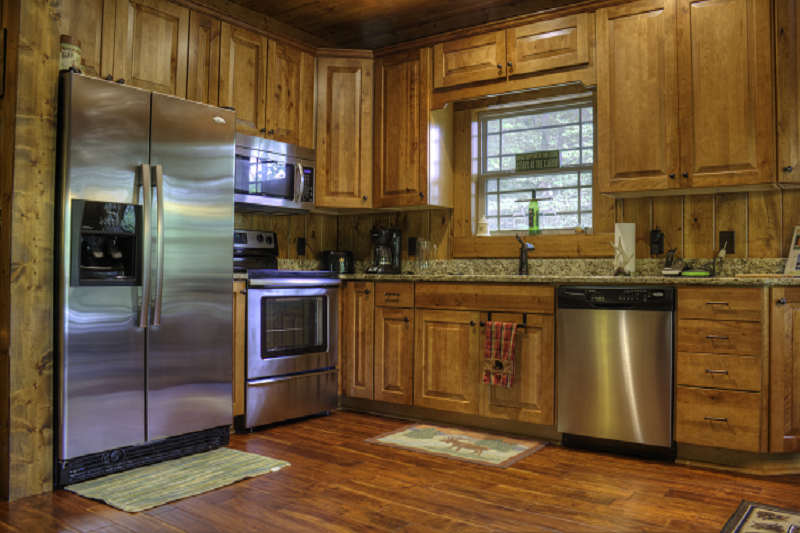 When it’s time to feed the group, you’ll appreciate the fully equipped kitchen on the main level with a side-by-side stainless steel refrigerator, glass cooktop stove and lake views. 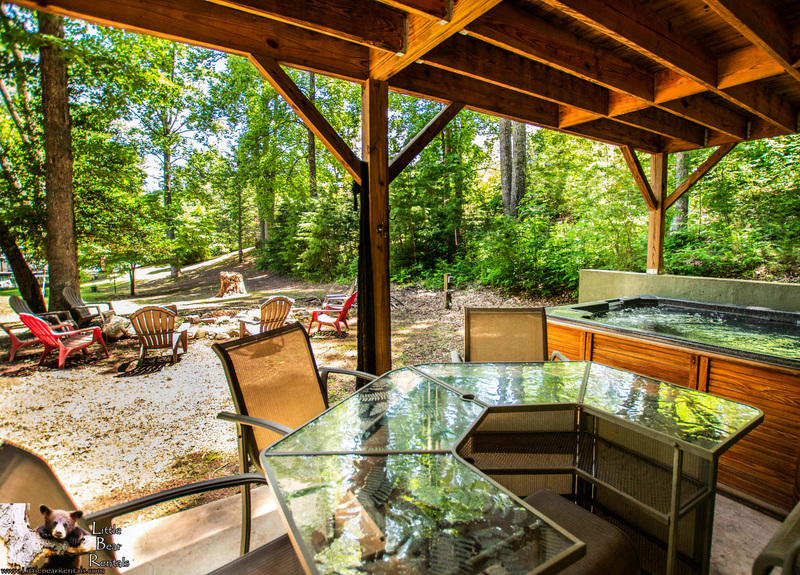 The partial kitchen on the terrace level has a refrigerator and sink, so downstairs guests have easy access to drinks and snacks. 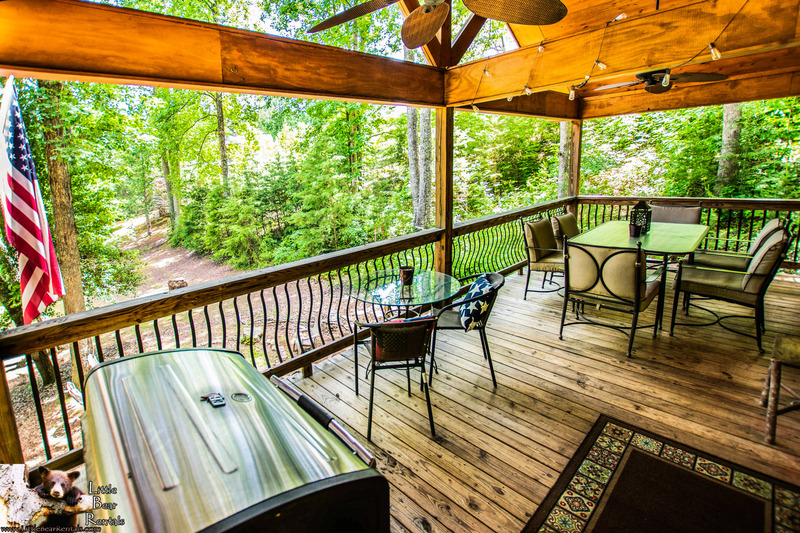 A gas grill on the covered deck (with seating for the whole family) is perfect for making memorable outdoor meals; the inviting views and peaceful atmosphere make great dinner companions. 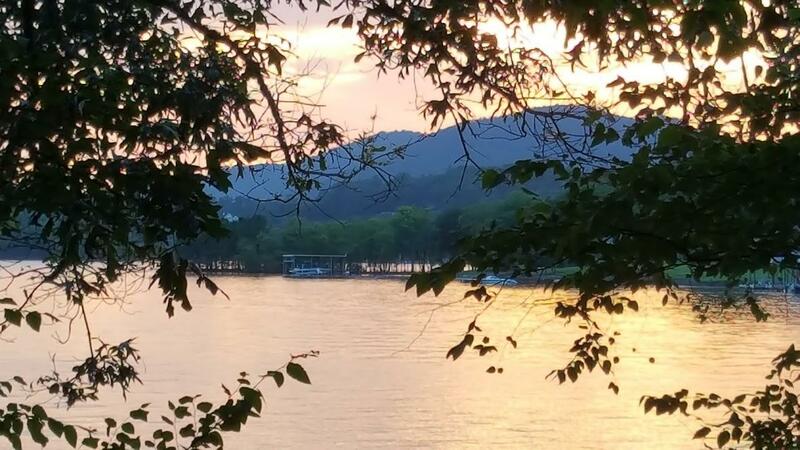 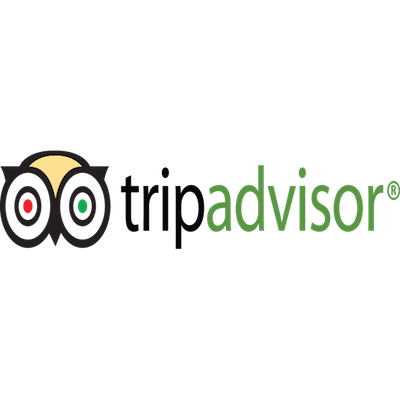 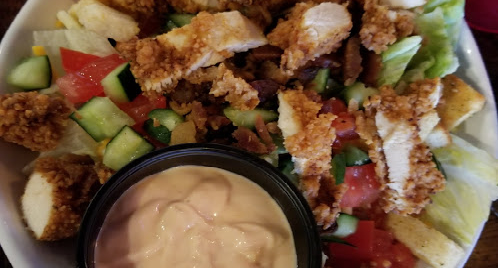 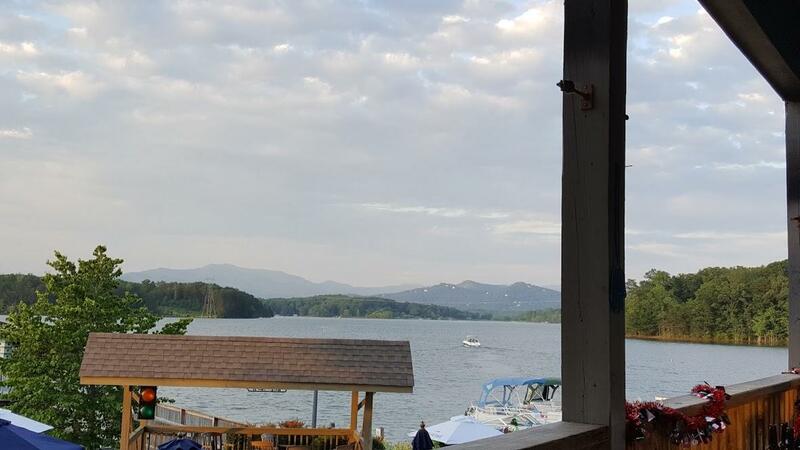 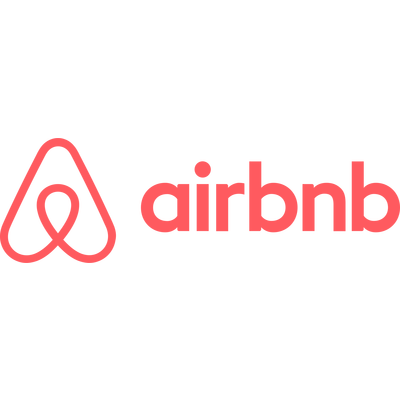 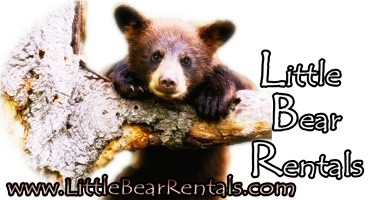 After a memorable day on the lake and in the mountains, two master suites with King beds, a third bedroom with a Queen bed, and a loft area with a Queen bed and a single bunk over offer sleeping accommodations for up to 9 people. 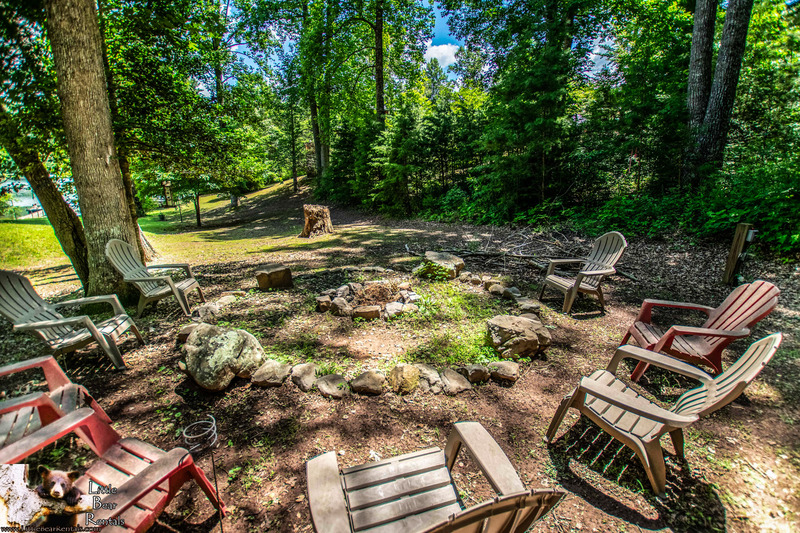 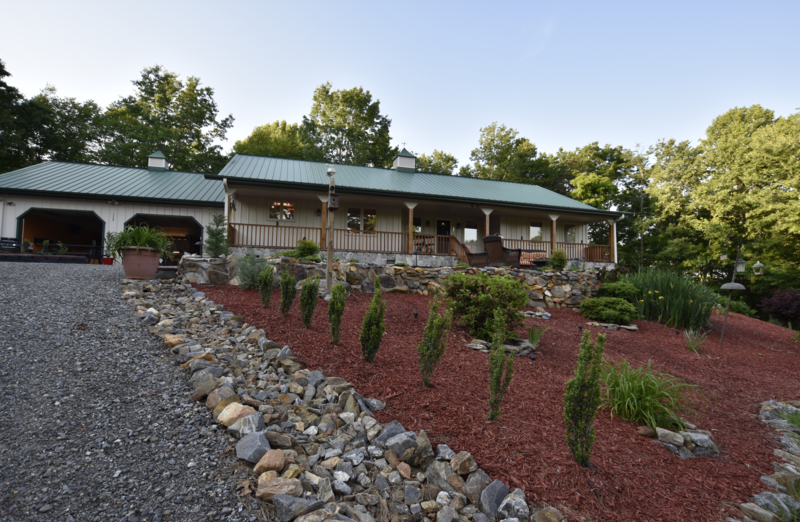 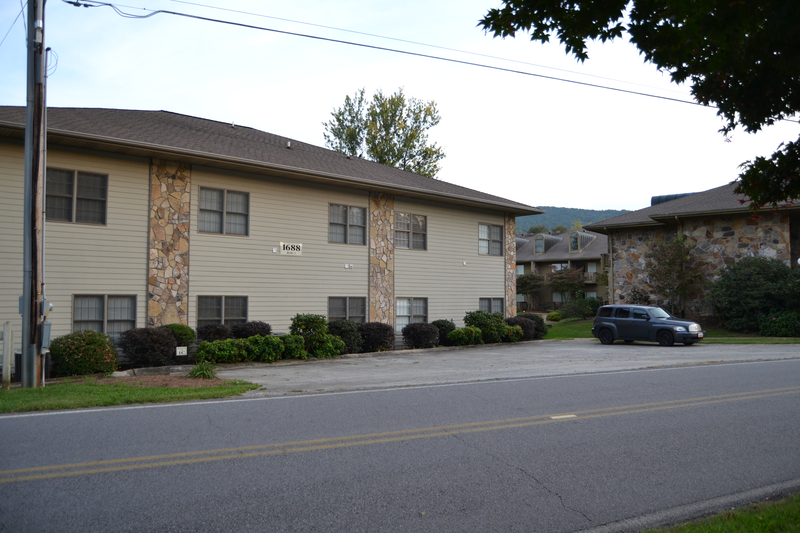 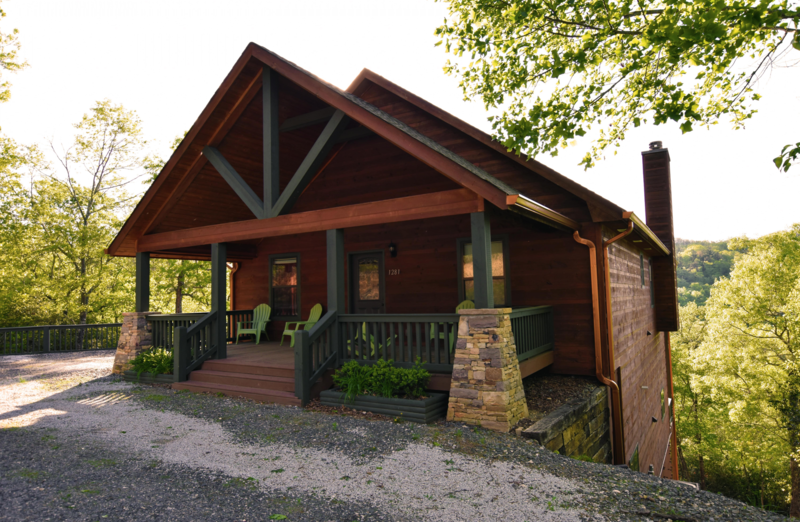 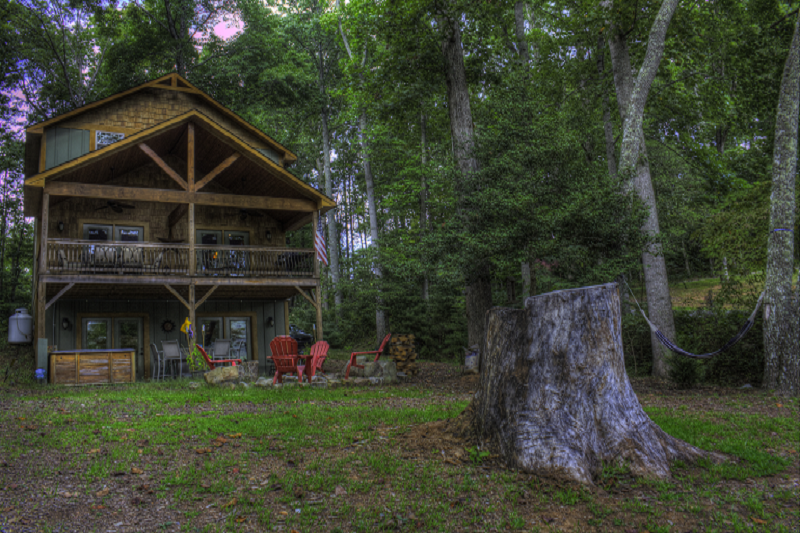 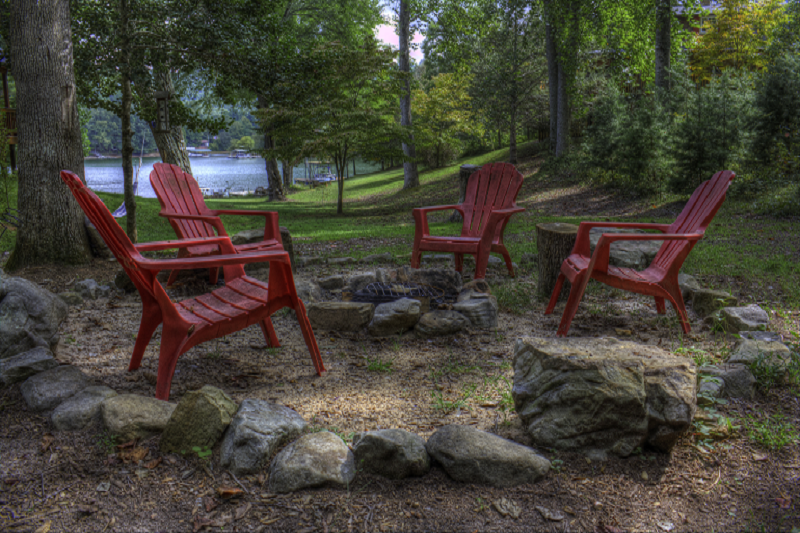 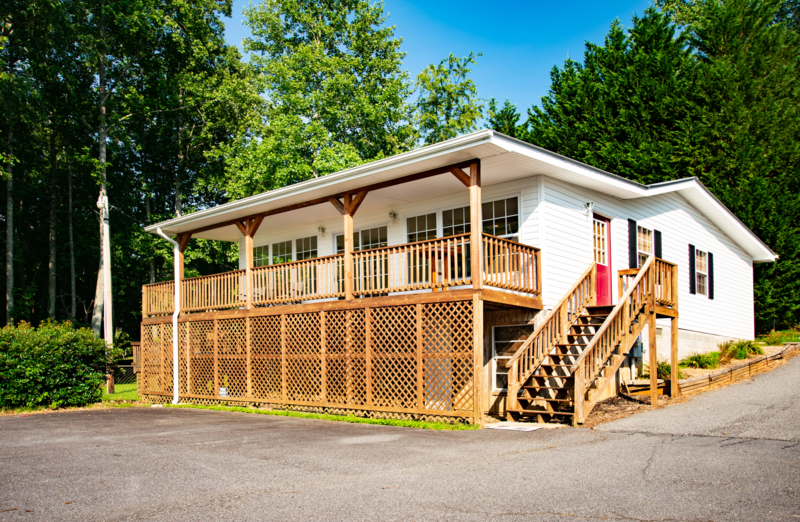 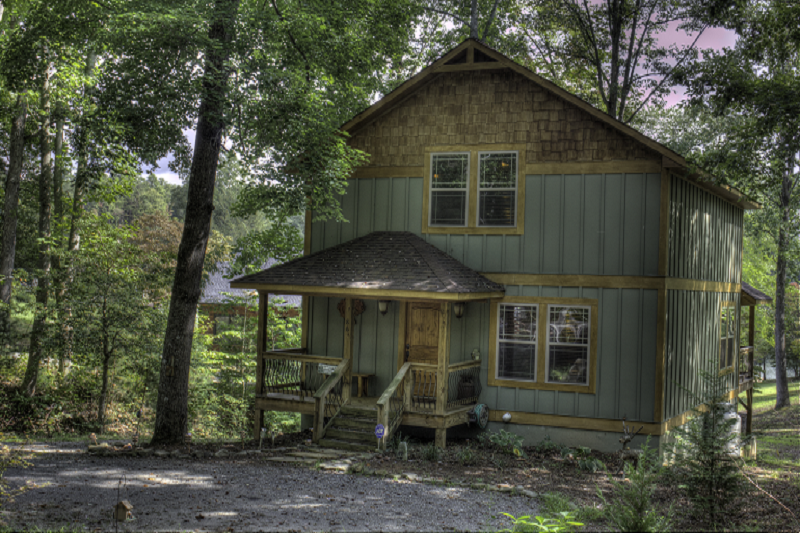 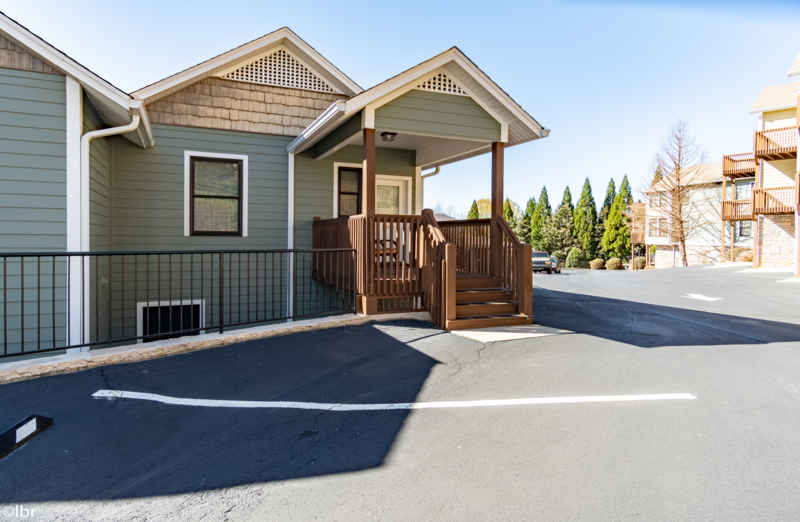 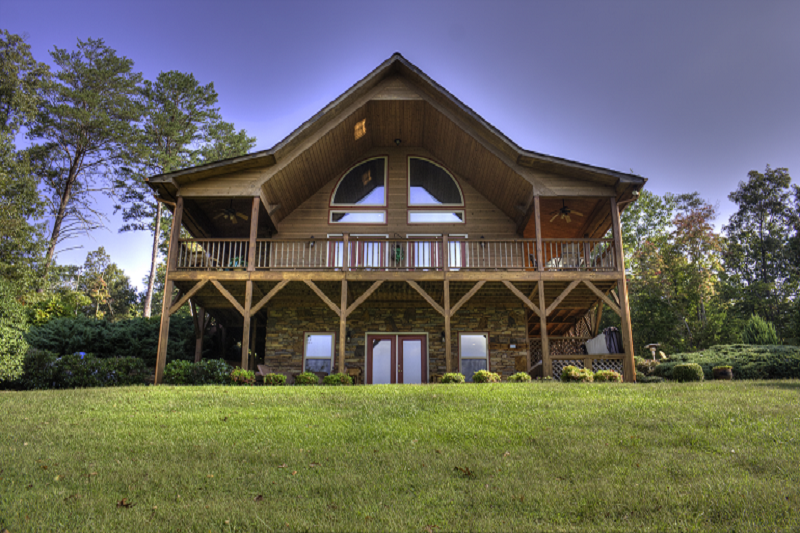 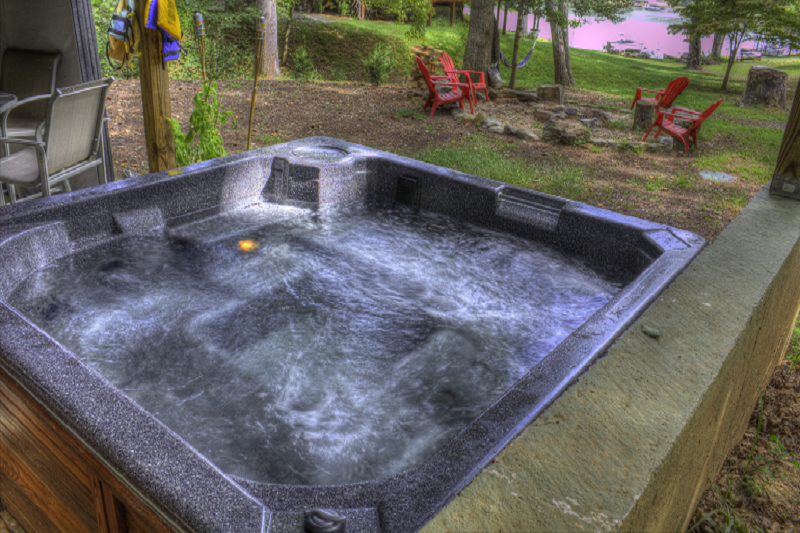 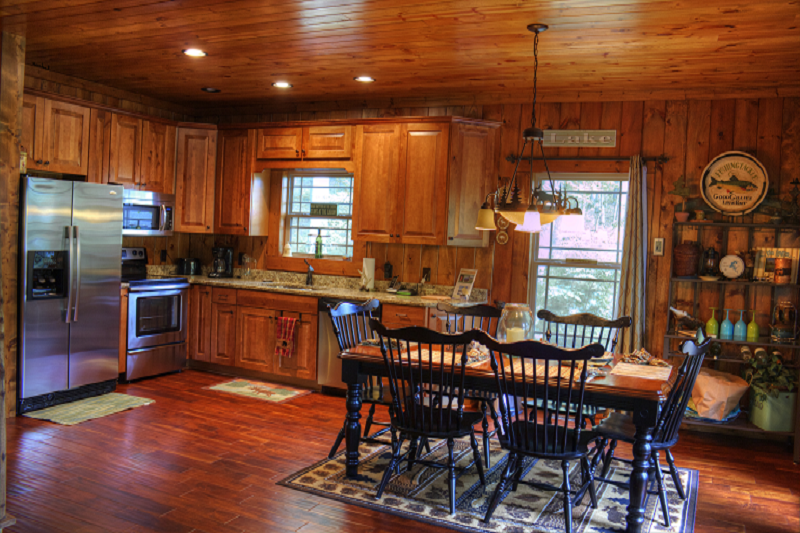 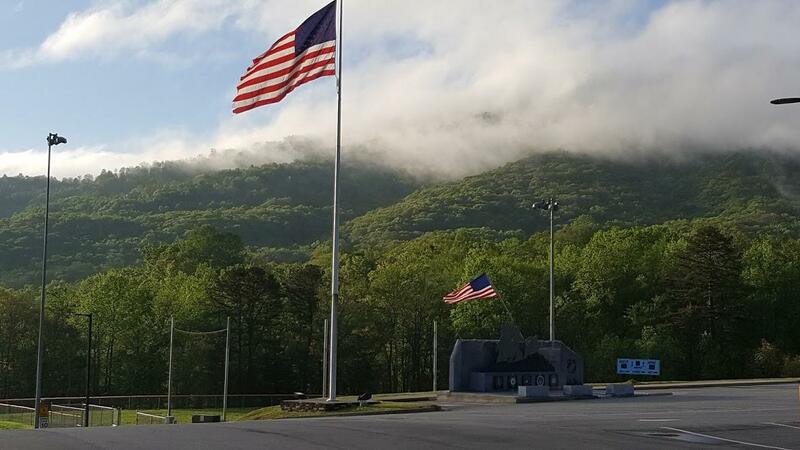 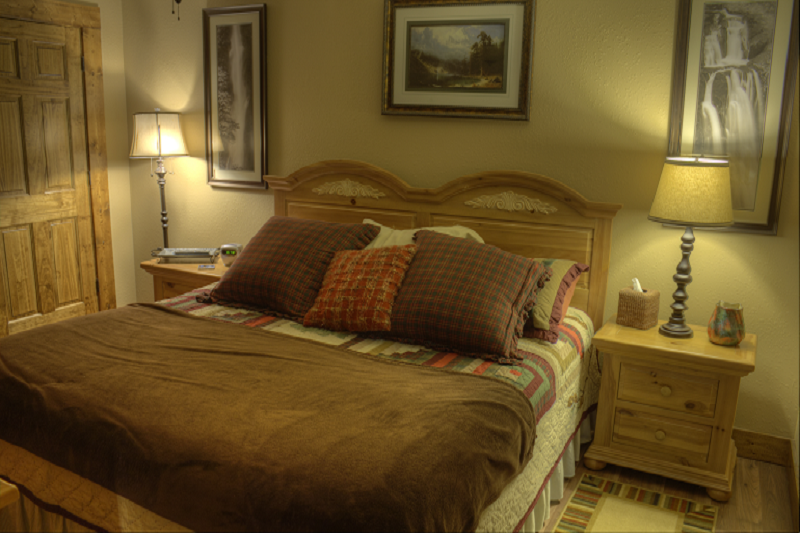 Come stay with us at Lost Lake Lodge… the perfect venue in the heart of the Blue Ridge Mountains, just minutes from area golf courses, a variety of restaurants, the Georgia Mountain Fairgrounds, hiking trails and waterfalls, and unique shopping experiences at every turn. 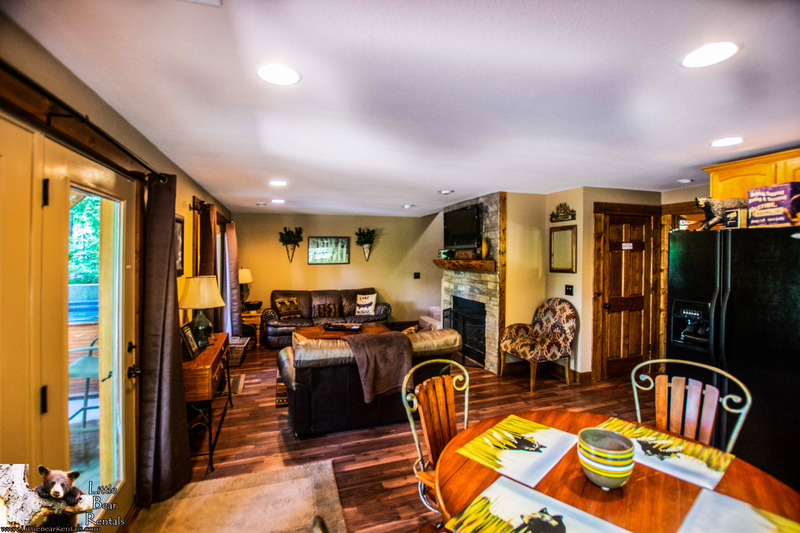 Book Lost Lake Lodge Now!